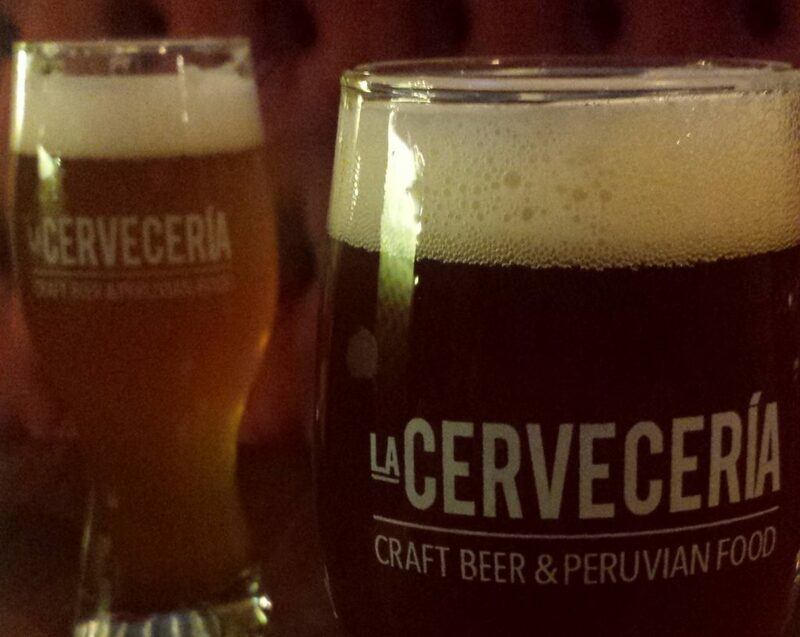 During my last week in Lima, at the beginning of August, I took myself to Barranco to get acquainted with the Red Cervecera Perú. 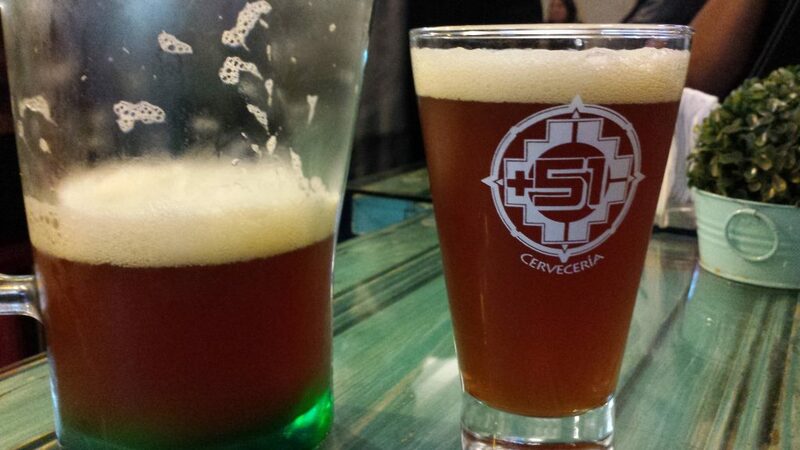 Red Cervecera is arguably one of Peru’s premiere homebrew supply retailers. Located in a remodeled old early-Republican house on Avenida Francisco Bolognesi, the Red Cervecera combines a homebrewing supply retail shop, a brewing school, and a brewpub under one roof. There, owner Joe Forte and manager Francisco Tapiago, among others, provide invaluable suppor to the country’s homebrewing and craftbrewing community by lead courses in brewing, provide opportunities for other homebrewers and microbrewers to gain experience with new ingredients, and offer a venue for beer-oriented events. I happened to stroll in off the street on a Wednesday afternoon and, though a stranger, was warmly welcomed as a homebrewer and invited in to observe a brew that Francisco was brewing in order to represent the Red Cervecera at the then-upcoming Craft Beer Sessions festival. While there I also had the opportunity to meet and chat with Joe, and with Megan Garrity, of Greenga Brewing Co., who were collaborating on a Chocolate-Peanut Butter Porter for the same event. Franscisco was kind enough to take time out to give me a tour of the place and to show me the shop, which sells some thirty varieties of malt and carries a couple of dozen hop varieties as they become available. One of those was a surprising experimental hop from Hop Breeding Company, HBC 472, which provided all the coconut notes to a Coconut Golden Ale on tap at the bar. I returned the next evening for World IPA Day, and was again embraced and made to feel at home, and introduced to other craft brewers from across Peru. At the Red Cervera, Joe, Francisco, and the rest of the team, more or less created one of those brewer’s dream spaces in which all elements of the hobby –from brewing, to owning a homebrew shop, to having your own brand, to serving your beers (and your friends’ beers) at your own bar– are brought together under one roof and shared with wider brewing community. Their openness exemplifies an attitude of sharing and cross-pollination with, and among that community, that is a hallmark of the homebrew and craft brew community in the United States but is, I’m told, still a bit harder to come across in Peru. 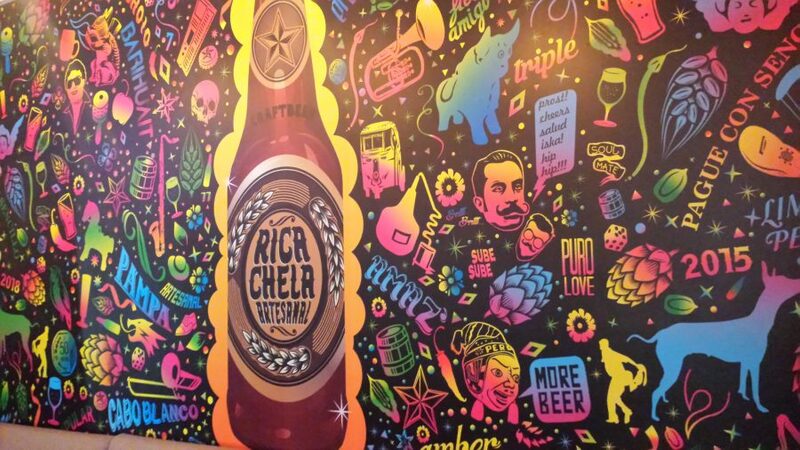 In my post on Nuevo Mundo’s new draft bar I mentioned that the Dörcher Bier tap room on Miraflores’ Calle Manuel Bonilla had closed. 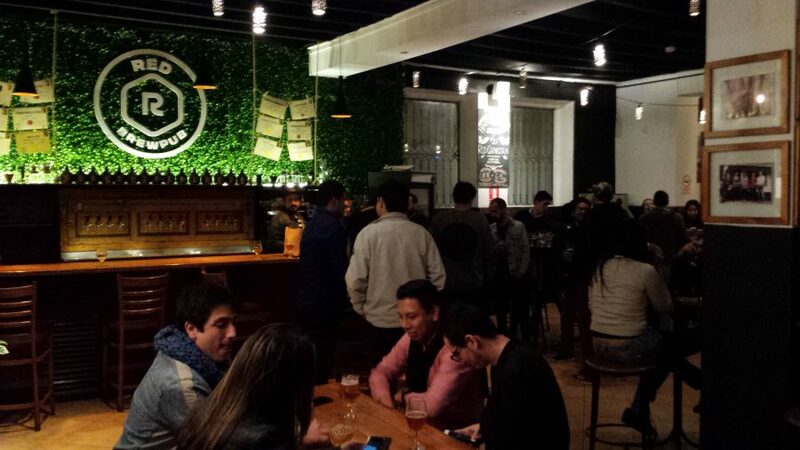 Well, it turns out that Dörcher Bier, a brewery from Pozuzo –a valley in the region of Junin, settled by German immigrants– has teamed up with Lima Beer Company, makers of Craftsman Cerveza Artesanal, to open up a joint tap room: La Cervecería. In a converted early-20th century house, La Cervecería’s layout had to squeeze into the spaces of the home it once was -parlor, living room, etc.– which creates cozy nooks and crannies for sitting in with friends. The decor follows a pattern that has become almost standard in taprooms here in Lima: rough brick facing behind the bar, a large chalkboard above the bank of taps, and a mural on one or more nearby walls. The staff are friendly and the beer selection quite good, with 21 taps of house and guest brews; all of which are Peruvian. Particularly noteworthy for foreign visitors is Dörcher’s Coca, a beer infused with coca leaves, which give the brew a slight green tinge and a light coca leaf aroma and flavor. 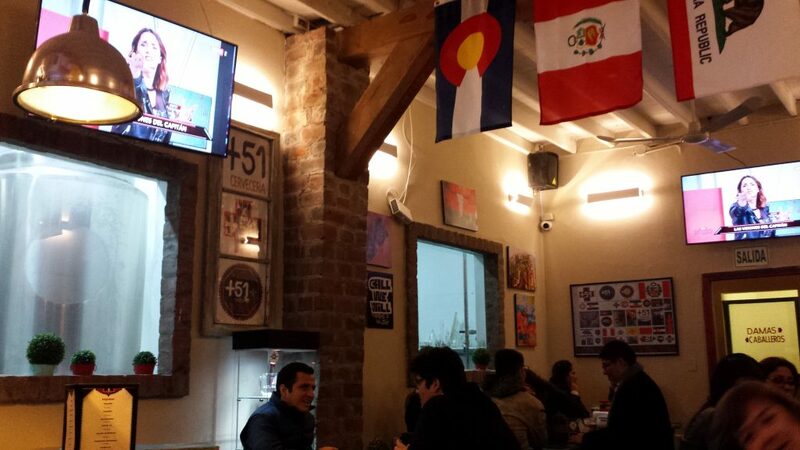 A few days ago my wife, my cousins, and I headed over to Cervecería +51 in Lima’s Jesús María district. Cervecería +51 is a small brewpub on a side street not far from Jesús María’s plaza and central market. It occupies the space vacated by Jaya Brew and there are still a few relics from Jaya in the form of posters, wifi network ID, etc. The space is nicely appointed with tables made from recycled doors, and there are several sets of Jenga™-style blocks for patrons to play with. The staff is great. Super friendly, helpful, and dedicated to making sure that one has a good experience as a patron. 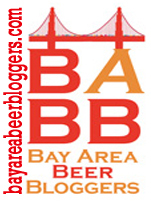 Currently, +51 (whose name, incidentally –like part of the name of this blog– is derived from the Peru country code) has a line-up of a dozen beers, including a trio of Irish-style beers (lager, red ale, coffee stout). Not all of them were on tap when we visited, but the missing brews were made up for by guest taps from other Lima craft brewers. We stuck with the house brews, trying their Imperial Stout (6% abv, 33 IBU), American Pale Ale (5.5%, 33 IBU), ZIA – India Red Ale (6.5%, 44 IBU), IPA (7%, 58 IBU), and the Belgian Pale Ale (5.9%, 26 IBU). The Belgian Pale and the IPA were the best of the bunch. Both of those brews show that +51 has what it takes to produce good beers. There was sufficient “Belgiany” flavour in the first, and a decent hoppiness and good body, with a nice long-lasting head of foam, in the latter. In fact, having tasted the IPA, we ordered a full pitcher of it. And then, a second one! Time constraints will likely keep me from revisiting +51 during the remaining days of the this trip, but I look forward to getting back there when I next return to Lima. 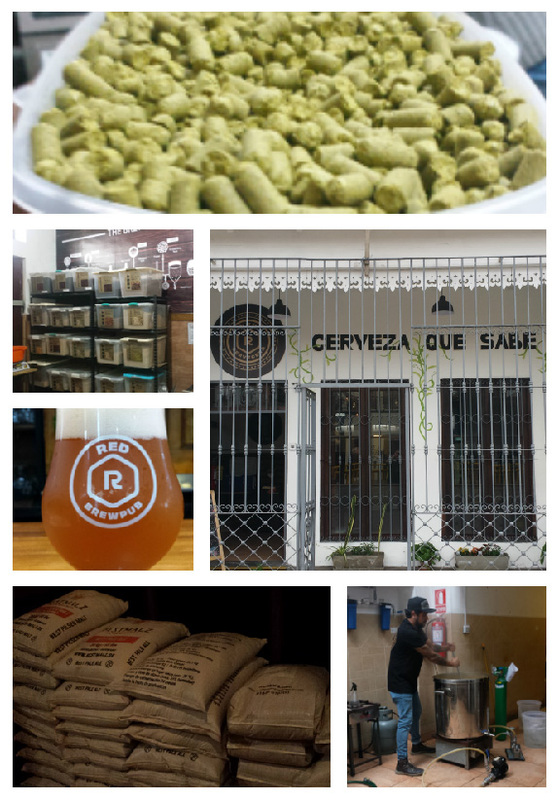 Having arrived in Lima the night before, last Monday afternoon I went in search of craft brew. Heading to Miraflores district, I found BarBarian closed for the afternoon while some work was being done on the place, and that Dörcher Bier’s place was gone and being replaced with a Peruvian-Asian fusion eatery. 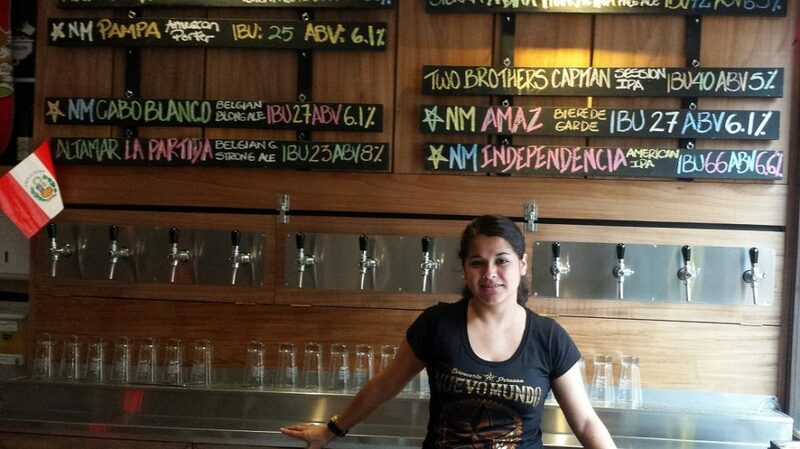 I was not to be frustrated, however, for right next door was a new taproom for Cerveceria Nuevo Mundo! When I say new, I mean it was literally quite new, having just opened its doors in mid-June. It turns out that the old Nuevo Mundo taproom around the corner and a block or two down Avenida Larco, closed and is now Lupulo Draft Bar. The staff at the new Nuevo Mundo Draft Bar said that they have the Nuevo Mundo concession. I’m not sure what that means, but if it works, who am I to argue? The place is about the same size as the old one, but because of the layout it feels a bit smaller. It is easier to get around in, however, as not having a staircase taking up some of the space allows one more room to maneuver in. 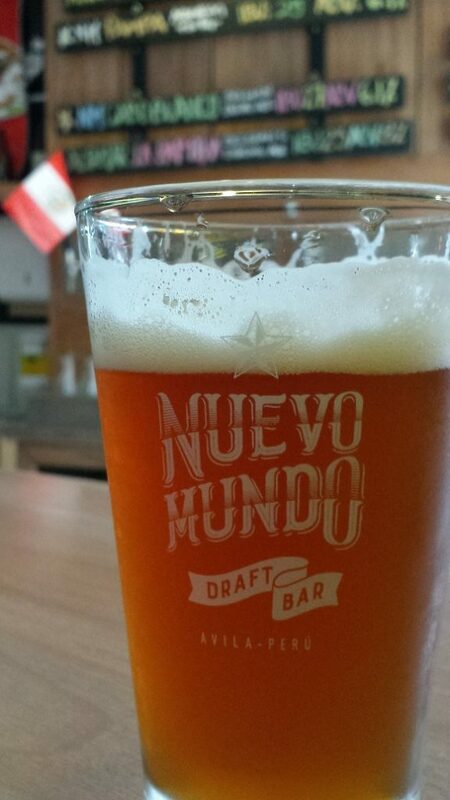 Between Nuevo Mundo’s own offerings and a few guest tap, the beers, naturally, are as good as they’ve ever been. I just came across a notice that yesterday, MAD Brewery, Lima’s newest craft brewery, launched its first commercial offerings a the La Bodega Cervecera store in the El Polo II shopping center. 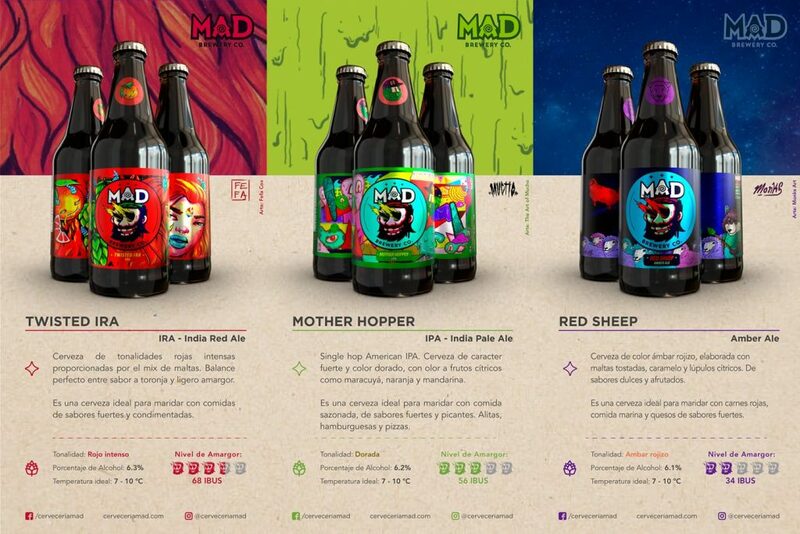 It seems that MAD is launching with a 6.3% abv, 66 IBU India Red Ale, a 6.2%, 56 IBU IPA, and a 6.1% amber ale. They’ll be ones that I shall be keeping an eye out for when I’m down there next.